Check out Wincey on the cover. She looks pleased with herself. Old people say some funny things. And by funny, I don't mean "ha ha" funny. I mean "slowly back out of the room without breaking eye contact" funny. Sometimes they say things that are blatantly obvious, such as, "I'm not as young as I used to be." Sometimes they say things that suggests some kind of ownership over things that were clearly never theirs, such as, "In my day..."
And sometimes, they say positive things while implying a negative connotation, such as, "They don't make 'em like they used to." "They don't make 'em like they used to," is clearly intended to suggest things were better in "the good old days" (a sepia-toned period in time so steeped in nostalgia that even the bone-aching winters, outside toilets, and lack of television are remembered as being joyous). Of course, not making things "like they used to" is actually a really good thing. After all, if they were, we'd all still be living in caves staring slack-jawed at a stick while wondering why it is so bloody cold. 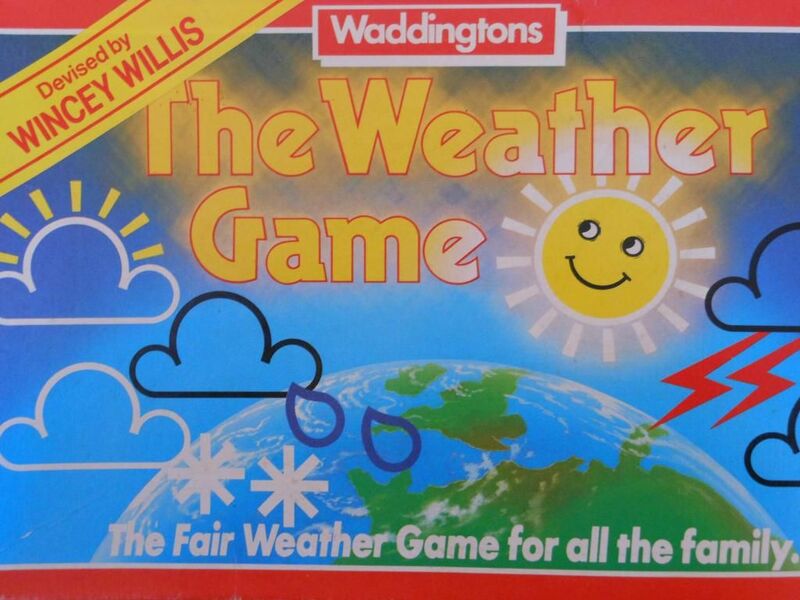 Worse still, they might still be making board games like The Weather Game, devised by Wincey Willis. Now, I'm not exactly old (although I'm not as young as I used to be), but I do vaguely remember Wincey. She rose to prominence in the 1980s as a weather presenter, cheerily lying to the Great British public by sticking little suns on a map of the UK and proclaiming this would lead to the now-mythical "dry spells." 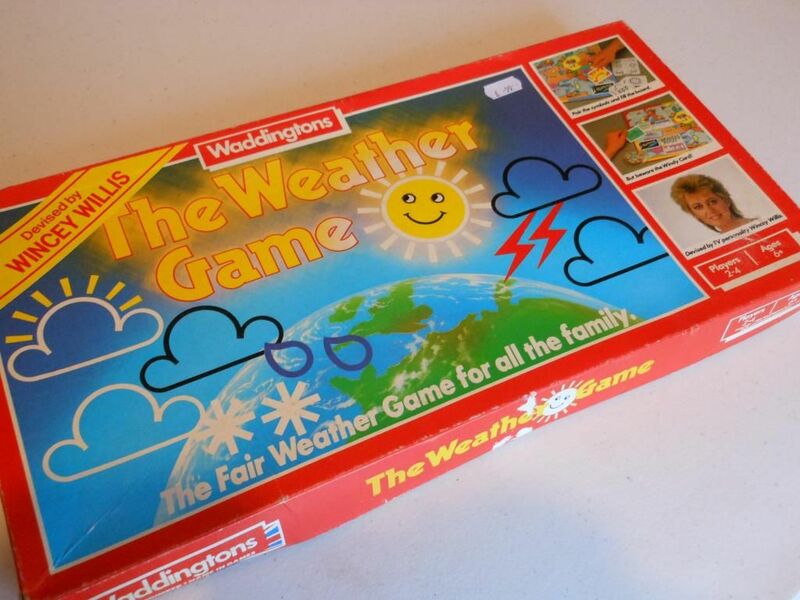 What I never knew is that Wincey also dabbled in board game design, and is credited with "devising" The Weather Game, which my wife found in a charity shop for the princely sum of 99p. 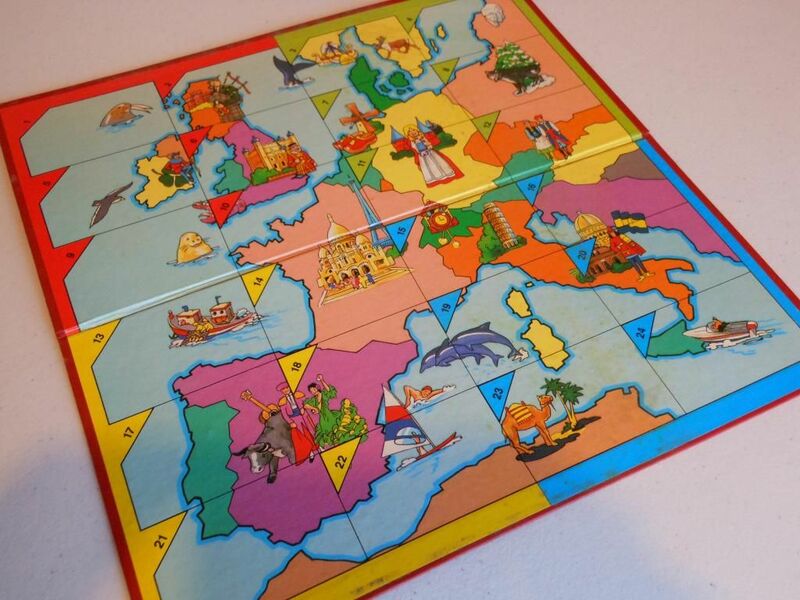 As far as I know, this was Wincey's only foray into the hobby, and that's something we can all be thankful for, because if this game was a map of the UK, there would be a lot of black clouds stuck all over it. The board is divided into four sections, which are further divided into six spaces, and each player is allocated one section. 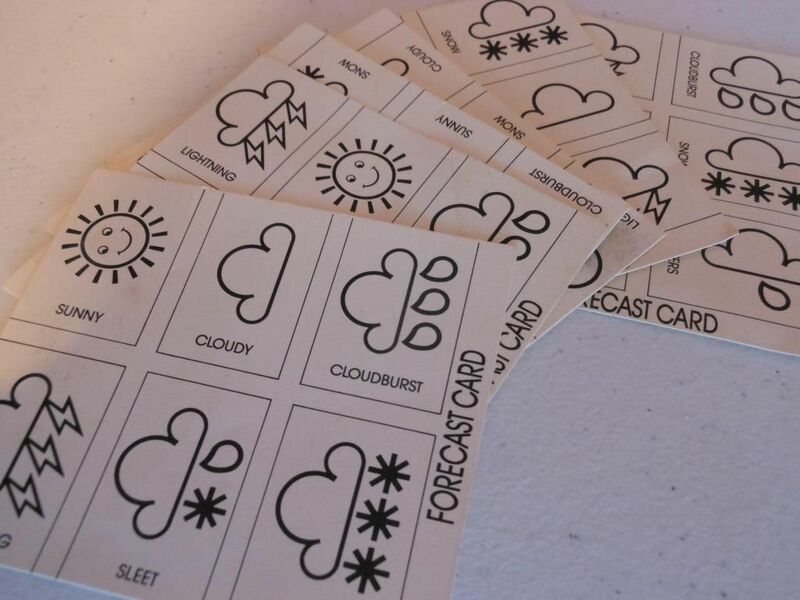 Each player also gets a unique forecast card, showing six types of weather. 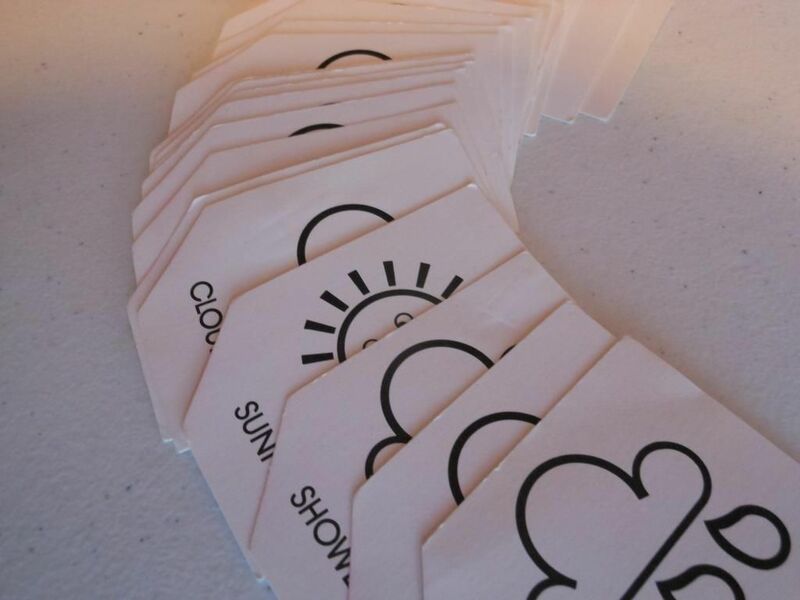 The aim is for a player to fill all six spaces in his or her section with pairs of cards matching the icons on the forecast card. This Herculean task is achieved through the age-old mechanism of the memory game. There is a set of blue-backed cards, and a set of pink-backed cards. On your turn, you flip one card of each type. If you get a match, and the match is also on your forecast card, you can take both cards and drop them onto your board space. If you fail to make a match, you turn the cards face down again, and play proceeds to the next player. ...with one of these black and white cards. That's basically it. It's Memory. Only, it's an agonisingly long version of Memory that requires you not only find matching pairs, but also find the correct matching pairs that appear on your forecast card. I don't have a problem with Memory, I play it with my daughter quite often; but it's a filler game. It's nice and quick, and you can play it a few times and then do something else before the players start to grind their teeth in boredom and frustration. But in The Weather Game, even finding pairs isn't good enough. It makes the game drag on longer than it has any right to. This issue is compounded by "Windy" cards. 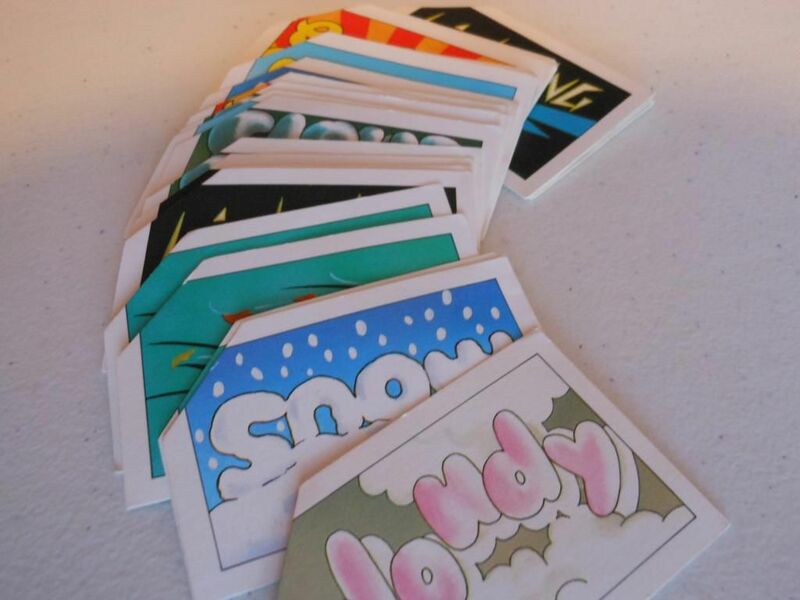 Every player is allocated two "Windy" cards, and a player has to have used both before he or she is allowed to win the game. Playing a "Windy" card involves spinning a spinner, and then removing any cards from the board section indicated on the spinner. These cards are returned to their respective card sets, and then all the cards are shuffled. 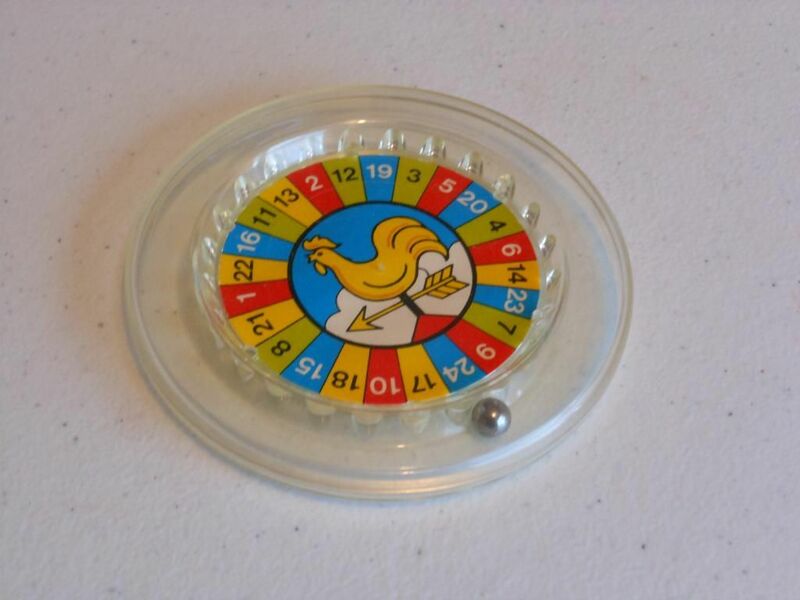 The spinner of doom. Fear it. You have to play the "Windy" cards in order to win. So, right there you are forcing players to use a mechanism to extend the length of the game. But it isn't like the cards are a catch-up mechanism. You have just as much chance of knocking out some of your own cards, and because you then shuffle all the face down cards, you are effectively resetting the game. There is nothing more frustrating than finally learning where a pair of cards is that you need, only for someone to then shuffle all the cards so you have to start again. The chance of removing your own cards, and the annoyance of shuffling all the face down cards, means wise people will use their "Windy" cards in the first turn (there is nothing in the rules to stop you doing this). Playing the cards immediately prevents the risk of losing your own cards, and dramatically shortens the length of the game. Even wiser people will simply not use the "Windy" cards at all. The wisest people of all will simply not play. I honestly don't have anything positive to say about this game. The graphics are ugly, the gameplay is bland and monotonous, it goes on too long, and the "Windy" cards mechanism is deeply flawed. Even the theme is a dud. Children aren't going to get excited about turning up pictures of clouds when they could be playing a themed version of Memory with Marvel superheroes, Disney princesses, or popular television characters. Maybe I am getting too old and grumpy. Or maybe I am not old enough to sink into the honey-dipped nostalgia this game exudes. Either way, t's true what they say: they don't make them like they used to. That's something we can all be grateful for.